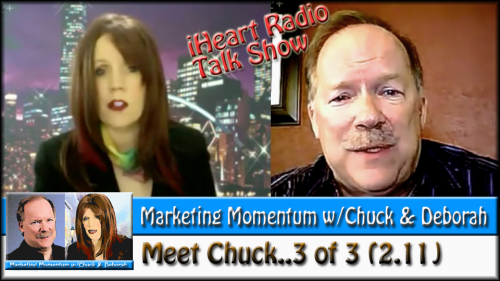 This is the final sound bite from the Social Web Cafe Interview of Chuck Hester, the new co-host of Marketing Momentum. After these three sound bites you will feel like you know Chuck! And, get to know him better by tuning in for future episodes of Marketing Momentum.